Wow. Just wow. This app. The power level of this app. This is amazing. 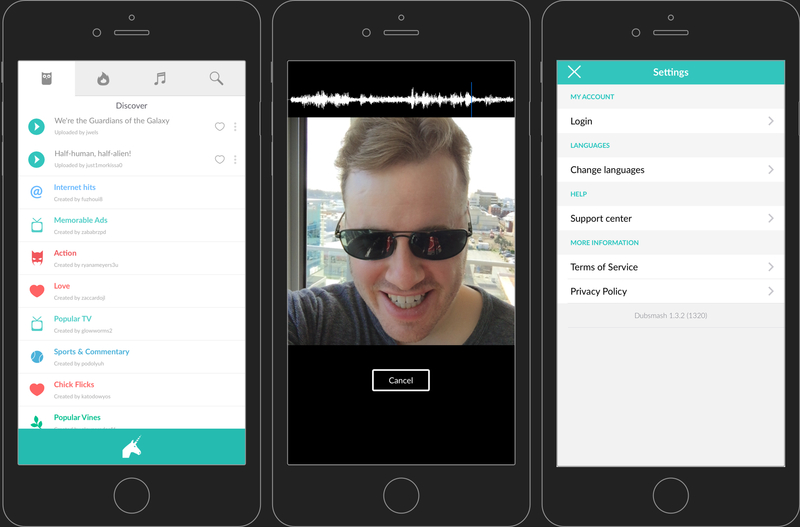 This week, we’re extremely thrilled to bring you a feature on Dubsmash, the social selfie app that lets you dub yourself to famous sound clips by Mobile Motion! In case you somehow missed it on the front page of your iPhone’s App Store page, Dubsmash is an app that lets you record a video of yourself dubbing, or acting in sync to a wide range of available sound clips; mostly famous movie quotes. Once you’ve created one of these dubbed video masterpieces, Dubsmash makes it seamless to publish it anywhere on the web; on web sites, on your social feed, or even directly to friends. The app also lets you manage your previous videos, as well as submit your own dubbed sound clips for other users to use. All of this is in a very simple, clean user interface that takes mere seconds to learn. The uptake of Dubsmash has been absolutely staggering. Within a week of its launch, it had hit the coveted #1 position of free apps on the App Store in its home region of Germany, and later went on to achieve the #1 position in over 40 other App Store regions after that! And no, that isn’t simply #1 in one of the App Store’s category filters, that’s #1 overall, beating out apps such as Facebook and YouTube! Finally, if you hadn’t already guessed it from this post, both the iOS and Android apps for Dubsmash are taking full advantage of Realm! We’re absolutely over the moon that our technology was able to contribute to Dubsmash’s efforts, and congratulate them on the ridiculous achievements they’ve reached with both of these apps. We thank everyone at Mobile Motion for choosing to go with Realm, and wish them all the very best in their future of Dubsmash!